I find it hard to believe we've lived in Texas long enough to have started redoing - painting, decorating, etc. - rooms in our house we fixed up shortly after moving in, but somehow that's where we found ourselves last weekend. 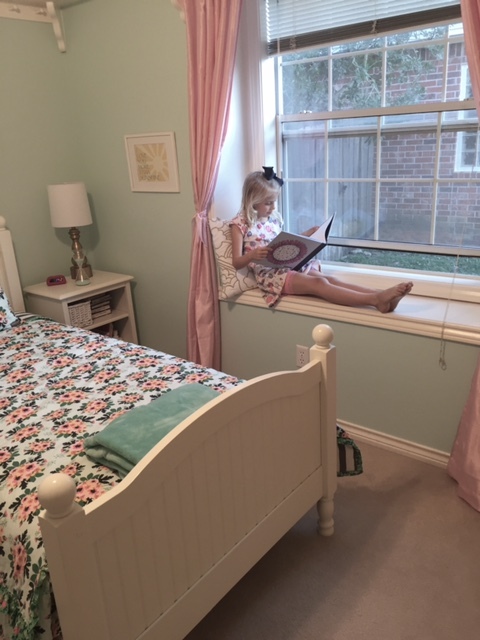 Yes, the list of first-round house projects and upgrades remains long, but the need to turn our Hallie Claire's little girl room into a big girl room took precedence. In case you're curious, my house/yard short list includes cleaning the carpets in Will's room, the guest room, and the master bedroom (replacing the carpet in these three rooms as well as Hallie's room is on my long-term list); updating our six ceiling fans; updating the lighting, fixtures, sinks, and countertops in our guest/kids' bathroom; updating the fixtures, sink, and countertops in our half bathroom; and planting a nectarine tree and a lemon tree in our backyard. Tom's house/yard short list includes cleaning and painting the gutters, repairing and painting the shed, digging up a few stumps in the backyard, and replacing three exterior doors. Luckily for Tom, his dad plans to visit us and help with his projects later this spring! My parents, on their way from Wisconsin to vacation on South Padre Island, stopped over in College Station for a few days and to help me with the project - their birthday gift to Hallie. Over the course of two jam-packed days we cleaned her carpets, painted her walls, and put the room back together with a little old, a lot of new, and loads of love. I realized after I emptied the room that I didn't have any recent pictures of Hallie's space. Most of the pictures below were taken right after she moved in six years ago (so long ago that her diaper genie can be seen sitting next to the dresser); since that time we had rearranged the furniture, taken out the rocking chair, and added a vanity, and my sister had painted more trees - to match the trees on Hallie's quilt - on the wall. I love the windowseat in Hallie's room. loved the trees Aunt Sara painted on the wall. when I let 4yo Hallie turn her room into a rain forest. 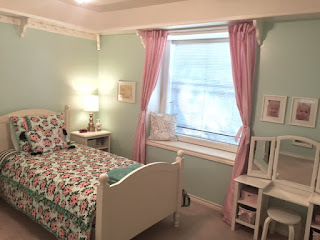 And now, Hallie's new room. waiting patiently for Aunt Sara to paint her next mural. I do love her more than sunshine. Hallie LOVES her updated space, as do I. 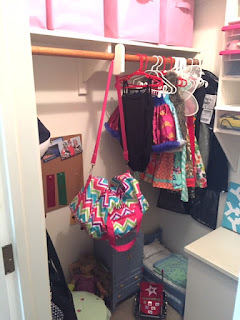 It feels fresh, clean, and organized, and a few of the adjustments we made gave her a little room to grow. Isn't that bedspread pattern fabulous?! We both still love the window seat. Speaking of clean and organized, a friend walked into Hallie's room and, after admiring the updates, asked, "wait. Where are all of her toys? Where's all the 'stuff'?" Good question! Moving left to right through the room, some of Hallie's art and school supplies are in and on her desk. (She has an art center in our family/music/play room, and the majority of her crayons, markers, colored pencils, glue, scissors, construction paper, coloring books, paints, etc. have a permanent home in that room.) All of Hallie's non-hanging clothes are in her dresser. 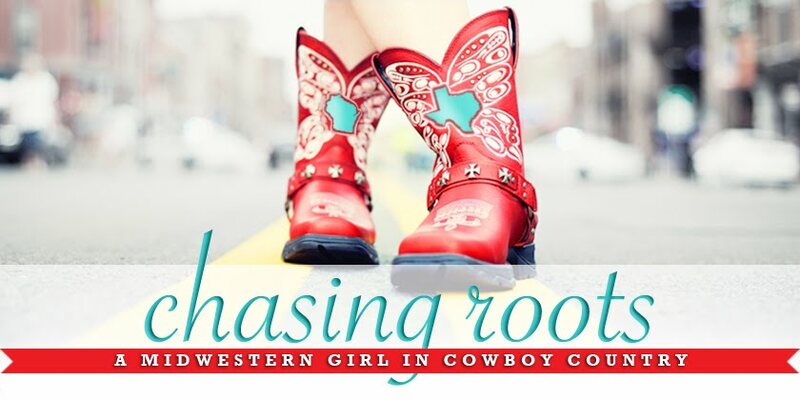 Hallie's picture and library books, as well as the things she might need while in bed (bookmarks, chapstick, bandaids), are on her bedside table shelves. 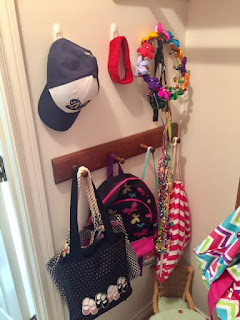 Hallie's jewelry and little trinkets are in her jewelry boxes and the baskets on her vanity shelves. And her chapter books are on her new bookshelf. Hallie's room also has a high shelf that wraps around the entire room, and she keeps photos, art, and trophies - things she wants to keep and see but doesn't play with - on this shelf. 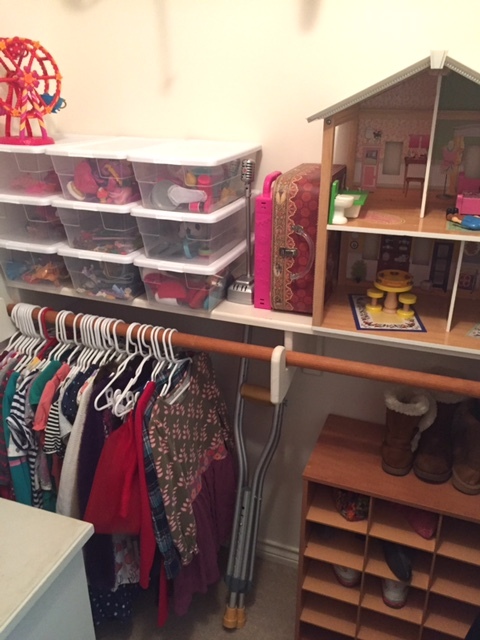 The rest of Hallie's clothes and toys are in her closet, which I've tried to organize in a way that feels clean, tidy, and easily accessible to a nearly-eight-year-old. accessories, Lego sets, My Little Ponies, and Shopkins. and bags, and American Girl furniture. an air mattress (her "trundle bed"), and her sleeping bag. is FULL of stuffed animals, and shelving. So there you have it - our first reredecoration project in our new(est) house. Maybe now that we wrapped it up I can get back to that lengthy short-term to-do list!